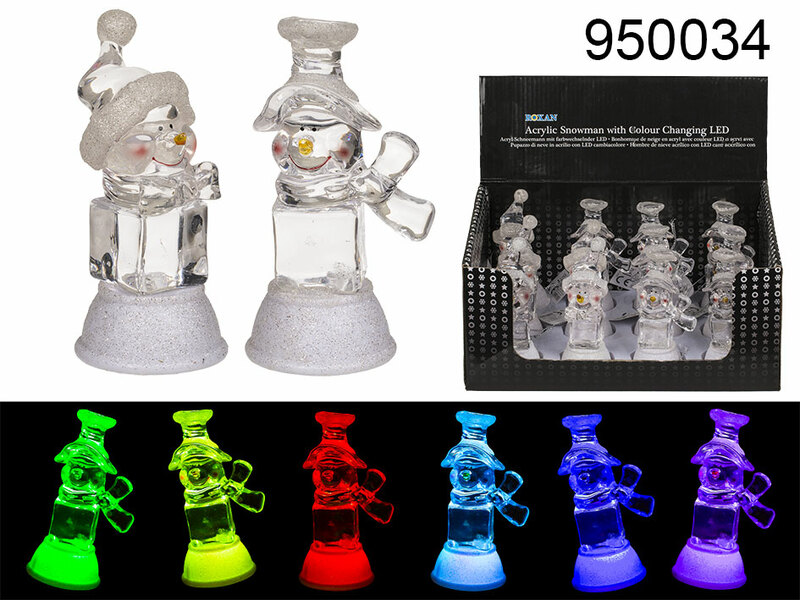 Acrylic snowman figurine with colour changing LED. Size: 12 x 5 cm. 2 designs available - assorted. Display stand contains 12 items. The given price is for 1 item. Lovely Christmas souvenir for everyone.